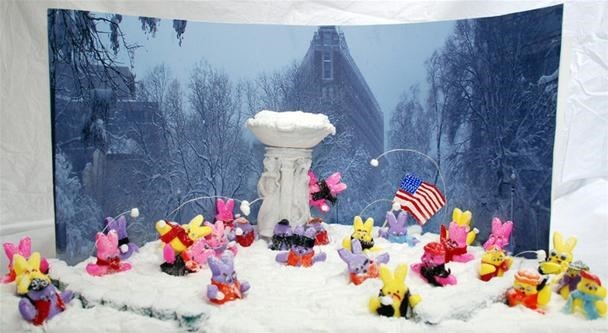 The fourth annual Peeps Diorama Contest attracted more than 1,100 entries. 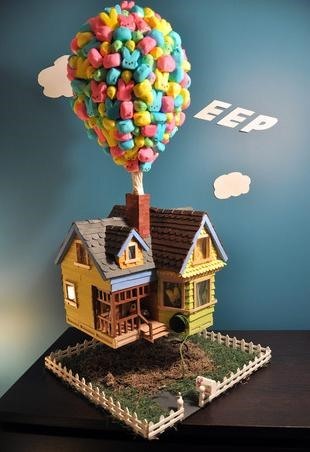 The first place winner (pictured directly below) is a Peeps representation of the movie 'Up'. Check out more Washington Post favorites below. "Up" by Michael Chirlin and Veronica Ettle. 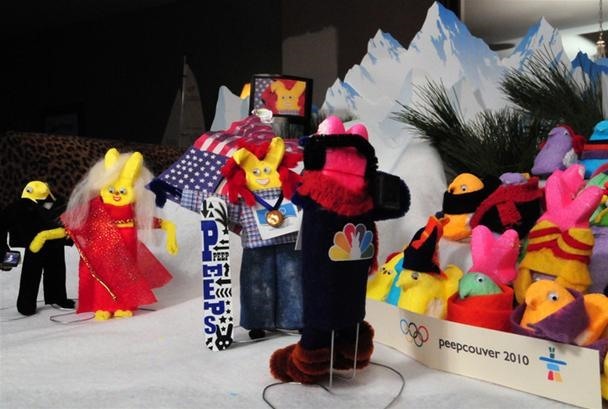 "Creating a Masterpeeps" by Phyllis Mayes. 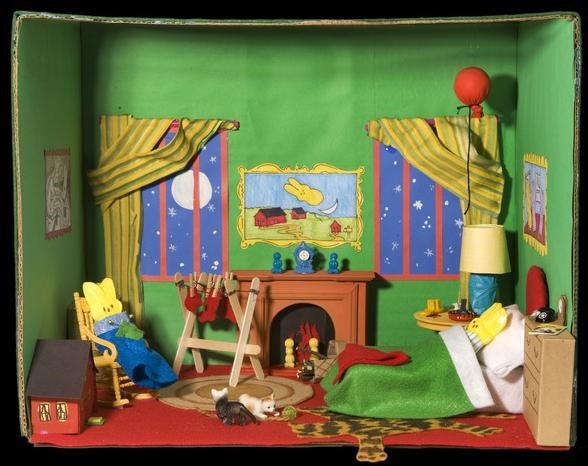 "Goodnight Moon" by MaryLea Harris. 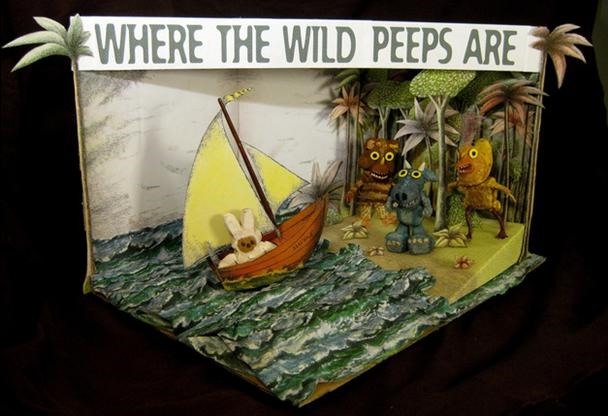 "Where the Wild Peeps Are" by Margaret Cooney and Adam Matuszeski. 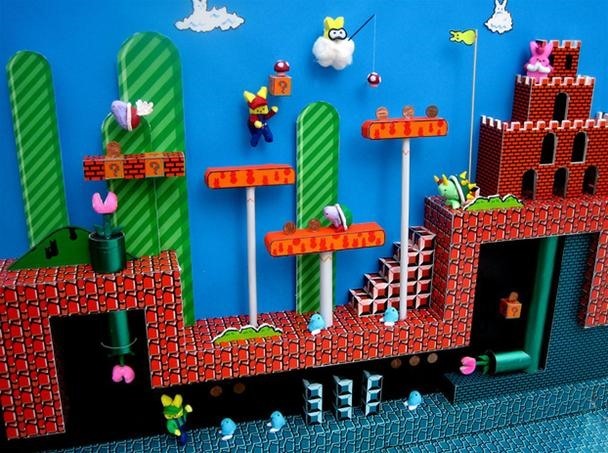 "Super Peepio Brothers" by Mark Rivetti. 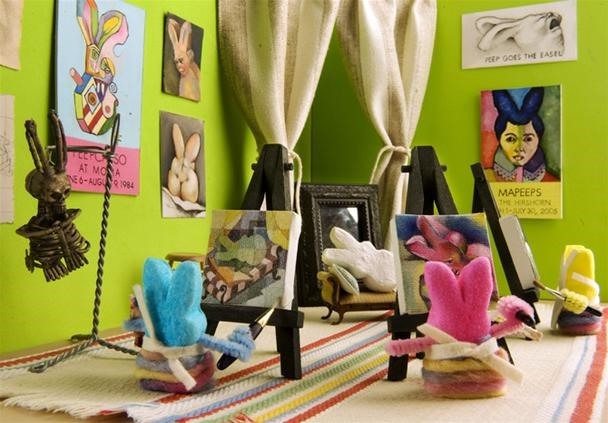 "Synchronized Peeping Practice" by Rebecca Glassman. 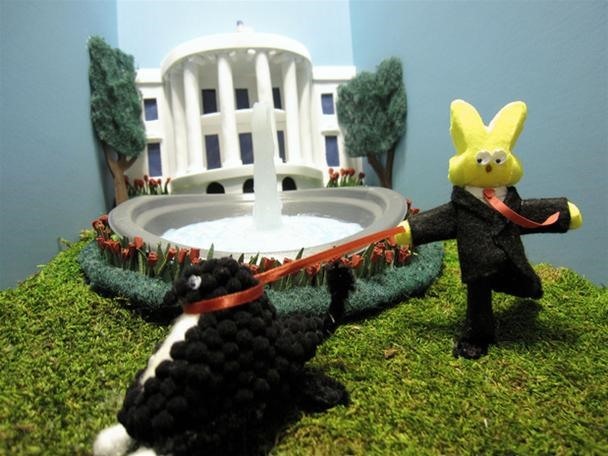 "Little Bo Beep" (Obama family dog) by Lauren Lien. 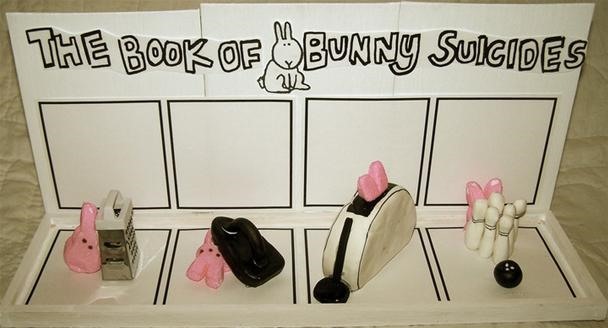 "The Bunny Suicides: A Tribute to Andy Riley" by Carolyn Whitton. 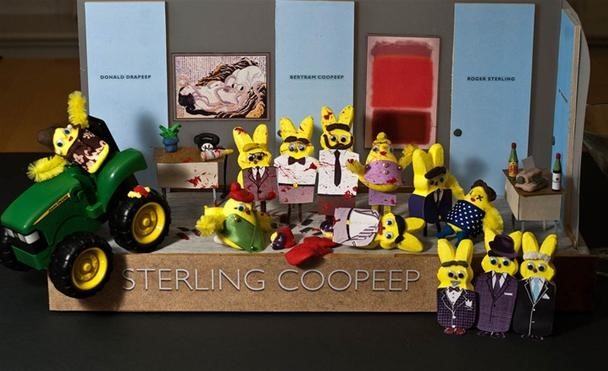 "The Mad Peeps of Sterling Coopeep" by Jeana Harrington. 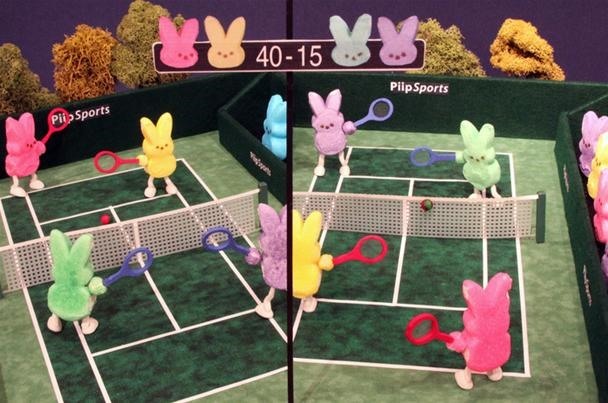 "Nintendo Piip: Doubles Tennis" by Craig Dykstra. Click through to view all 37 selections displayed by the Washington Post. 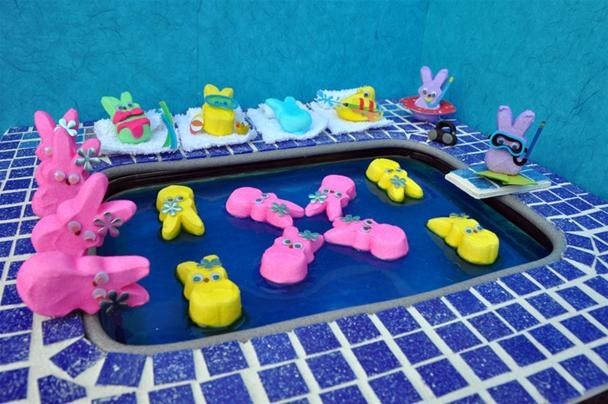 Previously, HowTo: Peepshi = Peeps Sushi.